OWH – One more for Mother’s Day! 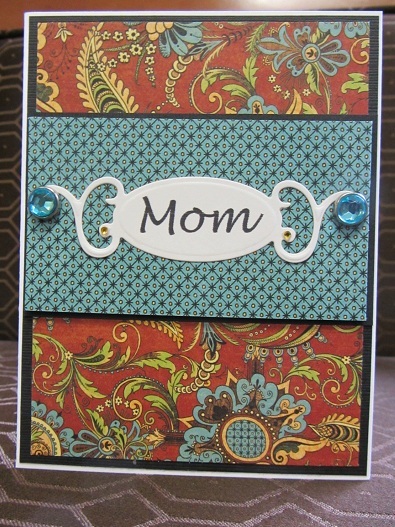 This was the last Mom card I put in the box I shipped off to Operation Write Home today! Our deadline is next week so that the troops will receive Mother’s Day cards in plenty of time. This is another beautiful sheet of paper produced by Graphic45. Both patterns are from the same piece, since it is double-sided. Thanks for visiting today. This entry was posted on Friday, March 16th, 2012 at 5:45 pm	and posted in Mother's Day, OWH. You can follow any responses to this entry through the RSS 2.0 feed.